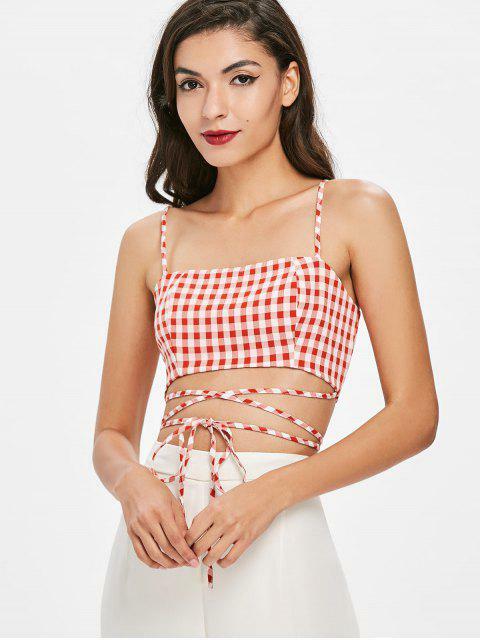 [57% OFF] 2019 Gingham Wrap Tank Top In CHESTNUT RED | ZAFUL .. This gingham print spaghetti strap top is bold and sophisticated yet easy to wear. Featuring cropped silhouette, self-tie wrap design and back exposed zipper. Its lightweight and soft fabric guarantees comfort. Pair it with high-waisted bottoms for a stylish look.